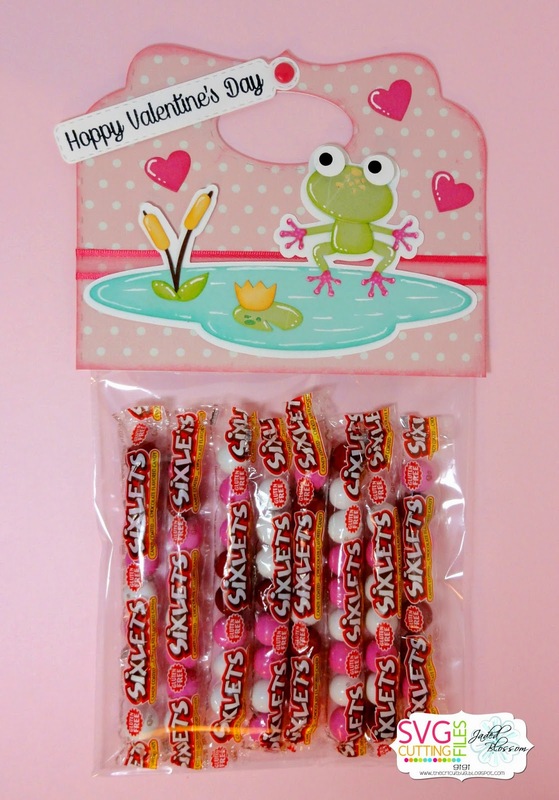 I made this fun treat bag for my project today using the Candy Caddy Die. I love using this die to create fun toppers for treat bags! This turned out to be such a cute treat! I created the topper by using the Candy Caddy Die. I cut out a pink polka dot and white piece to the center of the die then glued the top 3/4 together. I left the opening at the bottom to be able to sandwich the treat bag in the middle. 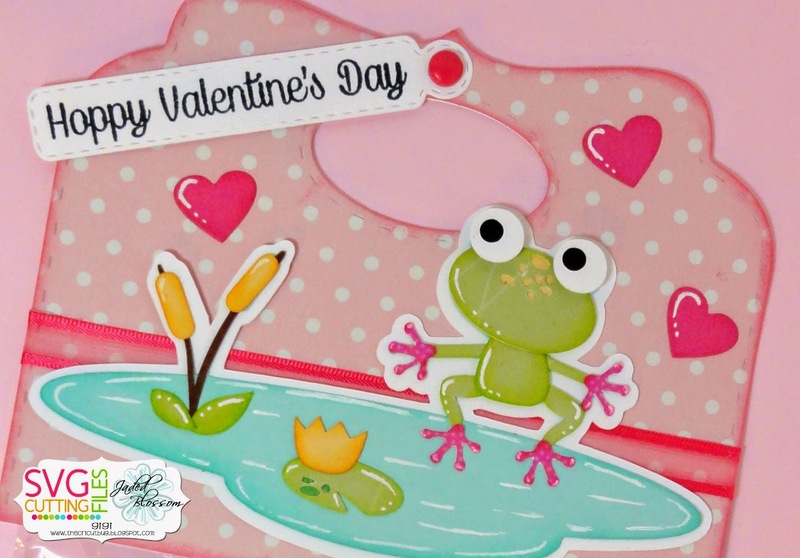 I cut out the frog scene using the SVG Cutting Files Frogs cut file and added some hearts cut with the Valentine Dies. I cut out the sentiment banner using the Mini Tag Dies and stamped the sentiment from the Pugs &amp; Kisses stamp set. I attached it to the topper using a brad. Top finish, I added some Valentine Skittles to an A2 Card Sleeve and glued the topper onto the bag. That's really cute, love the frog! 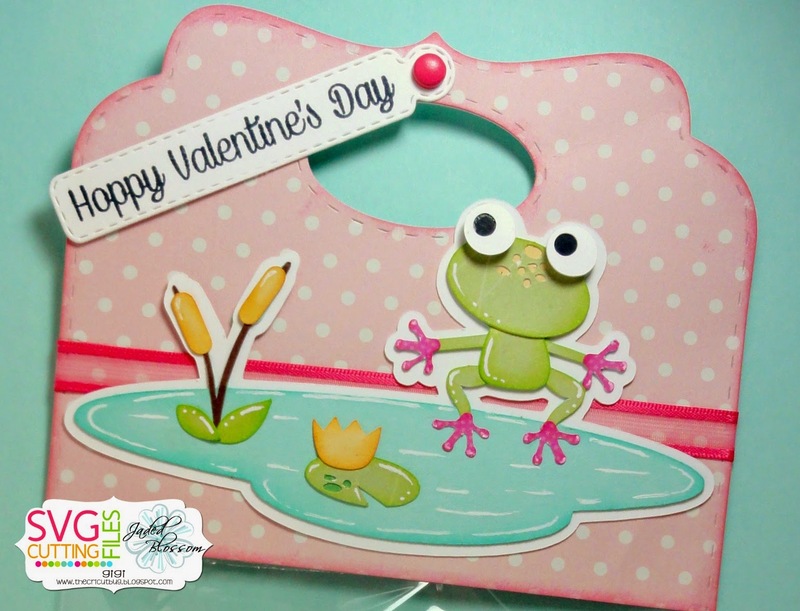 I love the adorable frog and the lilly pads. Thanks so much for sharing.